My apologies for not putting up a review of some sort on Monday. There were two things working against me: the Iroshizuku reviews have hit a bit of a snag, and I’ve just started a new exercise and diet regime that is zapping up a lot of my time and energy. Since the Iroshizuku reviews are at a bit of a stand still, I thought I’d review one of the new Diamine ink colors. 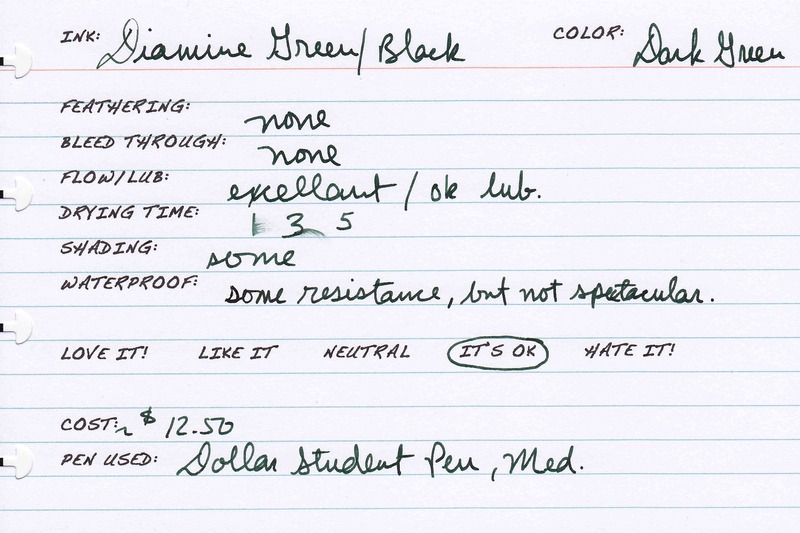 Up today is Diamine Green/Black. Yes, it is a good Mont Blanc Racing Green (MBRG) sub. It actually seems to be a mix between MBRG and Noodler’s Zhivago. It’s dark but still visibly green, but it’s not as olive in color as the MBRG. I’m not a green ink fan, but I like this one better than I liked either MBRG or Zhivago. Lubrication is decent: not bad, not excellent. Drying time of fairly quick at 5 seconds. I haven’t seen any shading with this combo. There is some level of water resistance, but nothing spectacular really. 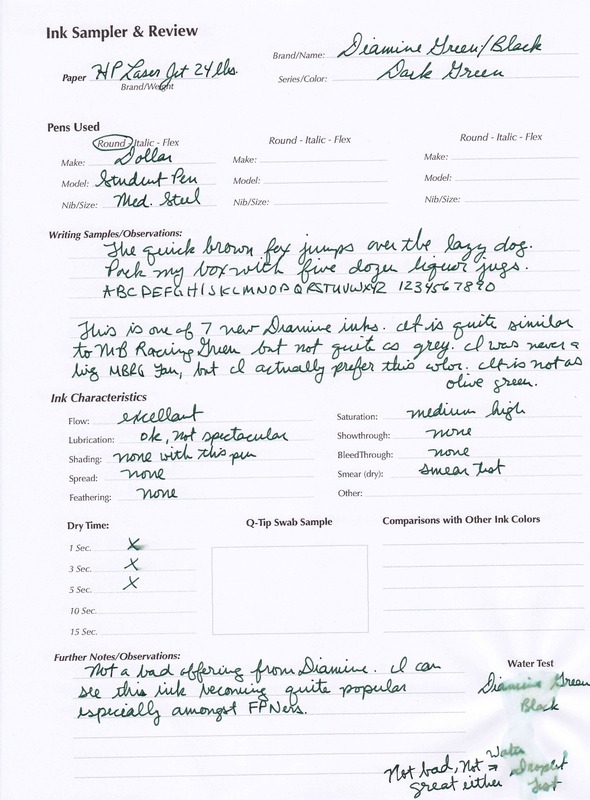 I received this ink sample from the good folks at Diamine. I am not otherwise affiliated with them. ← Iroshizuku Ku-Jaku vs. Noodler’s Turquoise/Eel Blue mix?